The proposal to move the Youth Services Center (including juvenile court and detention facilities) into Beacon Hill’s PacMed building is now off the table. King County officials have determined that none of the six proposals for replacement of the Alder Youth Services Center—including the PacMed proposal—meet the county’s affordability criteria. According to County Administrative Officer Caroline Whalen, one of the primary goals of the process was that “the [Youth Services Center] project should be, to the extent possible, cost-neutral to King County or at least minimize the financial contribution required to be made by King County.” None of the submitted proposals were found to meet this criteria, so the county is ending the current procurement process and considering its next steps. Photo of the PacMed building by Wendi. “A neighbor asked me to send this message out reminding people that there’s an informal meeting of concerned neighbors at Dr. Jose Rizal Park tonight at 6 PM to discuss the proposed move of the Juvenile Justice Center to the PacMed building. 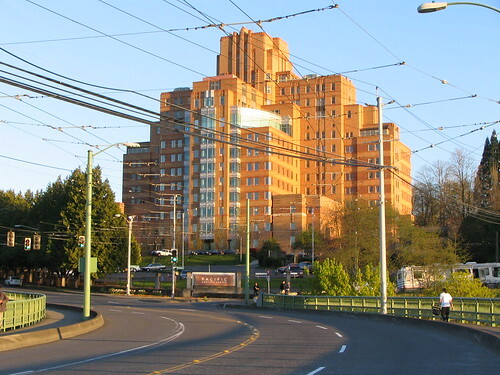 The Seattle Times (BHB news partner) reports that King County’s juvenile court and jail could move into the historic PacMed building on the north tip of Beacon Hill under a proposal from the current leaseholders, development company Wright Runstad. 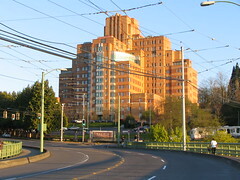 Wright Runstad were granted a 99-year lease on the PacMed property in 1998, and then converted the hospital to office space which it then subleased to Amazon. However, Amazon recently vacated the building for a new base in the South Lake Union neighborhood, and the Times writes that this has put Wright Runstad “in a financial bind,” owing more than $300,000 per month in lease and loan payments. The Wright Runstad proposal is one of six proposals for the future of the county’s Youth Services Center and Youth Detention Center, and the only one that calls for moving the facility from its current location. County officials won’t comment on its viability, but according to the Times, it is “the leading proposal” among the six. The Youth Services Center and Detention Center is currently located in the Central District at 12th Avenue and East Alder Street, and is in need of renovation; last summer, PCB contamination was found in the courthouse, and the building has had problems with plumbing issues, mold, and deteriorating infrastructure for some time.